Robin Ackroyd travelled extensively on horseback in northern Mongolia during an independent research expedition to reach remote locations that may harbour one of the greatest archaeological mysteries of all time – the secret tomb of Genghis Khan. In this illustrated talk, based on his new book about his journey, Robin will describe how he trekked, with his five horses, into wilderness once frequented by a young Mongolian called Temüjin – the future world conqueror – and to where, ultimately, his secret tomb may be located. He was accompanied for several hundred kilometres of his arduous journey by a loyal dog whom he named Spirit. Robin Ackroyd qualified as a journalist in the UK and worked for local, regional and national newspapers before going freelance. He has worked as a news reporter, investigative journalist, and crime correspondent. He is a member of the Society of Authors, and the National Union of Journalists. 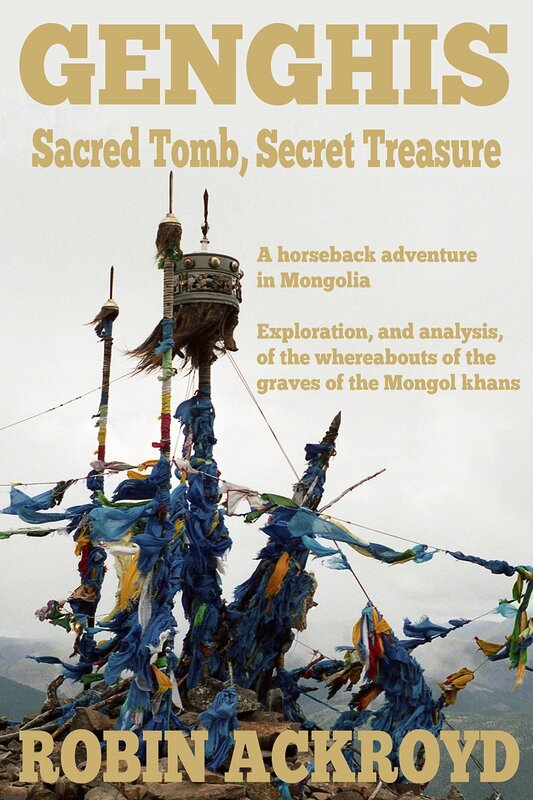 His new book Genghis: Sacred Tomb, Secret Treasure has just been published. 5.30pm. Refreshments from 5pm. All welcome.